I found this awesome book on quilting in the library. Its perfect for people like me, who find it almost impossible to cut fabrics to the exact measurements. This book talks about free-form quilting, which I think is what I am going to do in my next quilting project. 1. Cutting a perfect square out of fabric requires a lot of math, talent and patience. 2. Pins hurt a lot! 3. Arranging blocks is not simple as it seems, especially if the fabric has a pattern which looks upside down from another angle! 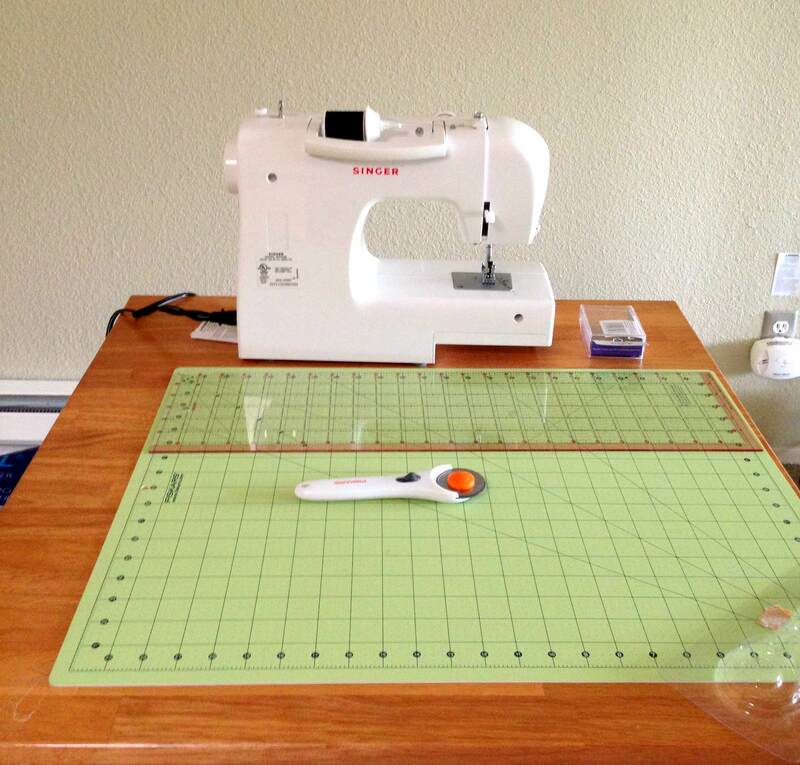 5.If you are new to sewing, then keeping a 1/4 inch seam is an almost impossible task. But, you also learn that quilting is fun! As the blocks keep building, the excitement level increases.. I can’t wait to finish mine! Since yesterday turned out to be bright and sunny, I decided to pay a visit to the Joann store in Ballard. I received the fabrics that I ordered online few days back, but it turns out, I need more fabric. I didn’t want to invest in some fancy expensive fabric as this is my first quilt and I’m bound to screw things up 🙂 For instance, I found it so hard to cut the fabric even though I have a mat, ruler and a rotary cutter. Its so hard to align it and is way difficult than cutting paper. Also, I ended up wasting quite a bit of fabric while trying to cut with the rotary cutter. Now, after cutting around 30- 9 1/2″ squares, I have got the hang of it. My first quilt is gonna be very simple and BLUE! !